Sebastian Oreb is known as one of the most sought after and leading strength coaches for some of the most elite athletes and trainers in the world. With an impressive list of names to add to his repertoire of clients, Sebastian has helped his athletes achieve outstanding results to take them to the next level in their chosen sports. Felicia Oreb is one half of the Base Body Babes - Australia's leading Health & Fitness experts. Having trained thousands of women around the world, Felicia's expertise in the field of strength training for women has allowed the Base Body Babes to develop one of the worlds most renowned women's personal training business. Diana Johnson, co-director of the Base Body Babes, specialises in training women with weights. Diana has achieved amazing strength and aesthetic results for herself and her clients, and prides herself not only on her ability to achieve results, but to do so in an enjoyable, positive and sustainable manner. Alex ’The God' is one of the strongest men in Australian history, and a competitive powerlifter and MMA fighter. Alex’s best lifts in a powerlifting competition are a 435kg squat, 260kg bench press and a 400kg deadlift, and remains undefeated as a professional MMA fighter and kickboxer. Alex utilises strength training to achieve his clients goals, including training for different sports. With over 12 years in the health and fitness industry, Cameron Oreb is proof that his fat loss techniques will not only make you look and feel great, but they are sustainable. Cameron gets his clients healthy, strong and in the best shape of their lives, specialising in fat loss, muscle gain and body composition through his strength training and nutrition techniques. Martin is an elite level powerlifter with 10 years of experience in the fitness industry. Specialising in muscle building, fat loss, body sculpting and human movement, Martin is one of the most technical lifters in the country and knows how to get his clients moving the right way to ensure they are achieving the best results possible. Kayla is a Physiotherapist, Massage Therapist and Personal Trainer. With qualifications in Exercise & Sport Science, Clinical Pilates and Dry Needling, Kayla has a deep understanding of the body and how it moves. Kayla takes a holistic approach to coaching her clients by focusing on training, nutrition, mindset and lifestyle. Her passion lies in helping people to be the healthiest, happiest and most confident version of themselves. 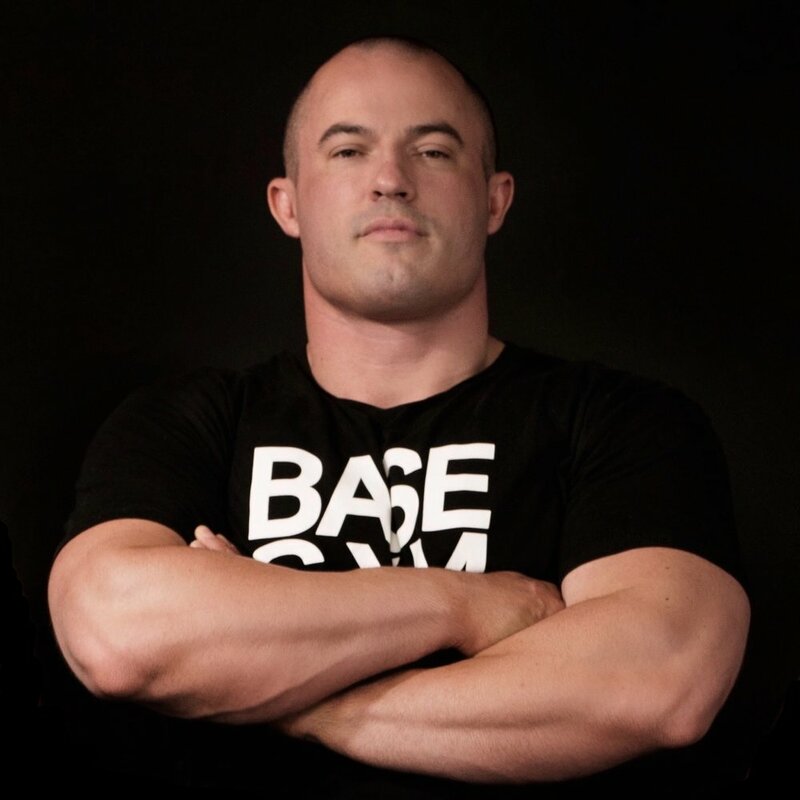 James is Base Gym's Manager, a competitive powerlifter and a strength coach. James specialises in using strength training techniques to achieve his clients goals to get strong, gain muscle and improve their body composition whilst remaining injury free. Sarah specialises in pre and post natal training, fat loss, muscle gain and of course getting our babes strong, fit and healthy! Whether you’re a beginner who has never trained with weights or you’re a regular gym goer, our one-on-sessions with Sarah will get you on the right track to achieving your health and fitness goals.